If Breaking Bad’s Vince Gilligan and Peter Gould bring even half as much verve to AMC’s Better Call Saul as they did to the flawless series they just wrapped — and signs show they will — it’s gonna be gooood. Still, it’d be a lie to say we could go into this thing completely excited if Mike Ehrmantraut wasn’t part of the picture. But he’s doing it! 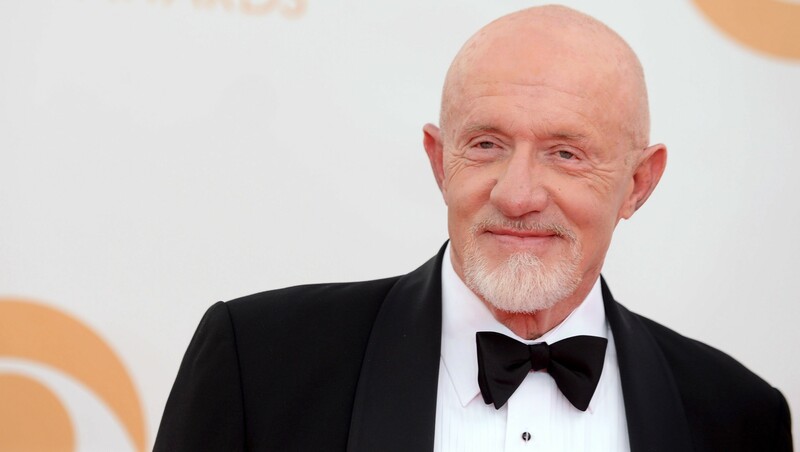 Jonathan Banks is doing the show! As a series regular! Albuquerque’s most un-eff-withable fixer/hitman has a back story that BrBa only gestured toward (the lovely granddaughter, the seemingly estranged daughter, the prematurely concluded police career in Philadelphia), so chances are Mike will get to do a lot more than simply trade yuk-yuks with Saul. The casting’s an interesting choice, as Mike was more Gus Fring’s man than Saul’s. Maybe Giancarlo Esposito will also sign on soon? (Have we really earned that, as a culture? Are we ready for it? It would be good with so many more O’s. Dump a family-size box of Cheerios on your floor right now — that’s how many O’s.) So far the cast only features Banks and Bob Odenkirk; henchmen Huell (Lavell Crawford) and Kuby (Bill Burr) seem like the next go-to guys, and Bryan Cranston and Aaron Paul have said they’d be happy to make cameos. Gilligan told The Hollywood Reporter last fall that the prequel/spin-off (preql-off?) was conceived as a half-hour sitcom until things changed. “We’re both one-hour drama guys,” Gilligan said of himself and Gould. “So we figured, ‘Why not shoot Saul in the same way? … Let’s get as much of the crew back together as possible, and let’s do it the way we did it before so that it will be of a piece with that pre-existing fictional universe that we had so much fun creating. '” Gilligan will direct the pilot — set for a November premiere — and stick around for full-time writers’ room duty for at least the first season.